Hello, everybody! Today we finish our posts about the Christmas menu of this year. 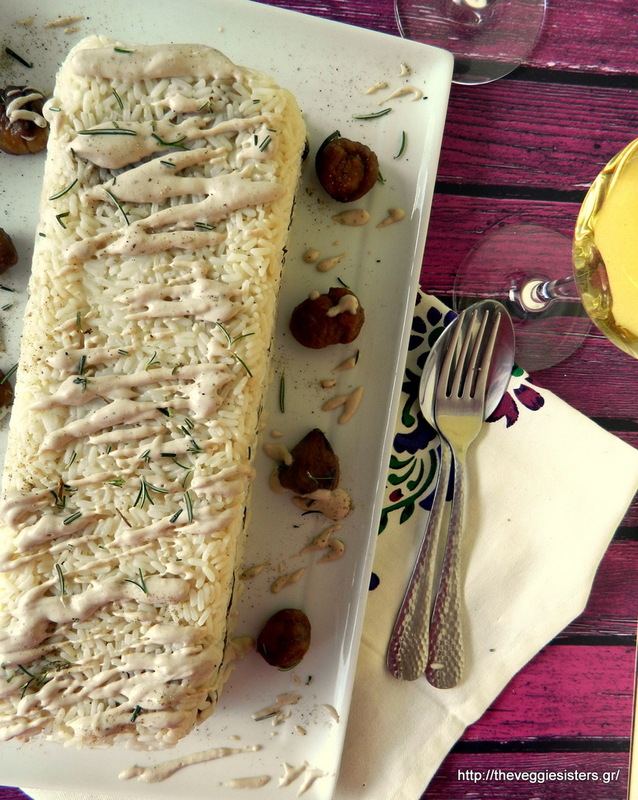 A simple, filling, healthy and scrumptious dish that is a crowd pleaser! We cooked it yesterday at a family table for our nephew’s birthday and it was a big hit! 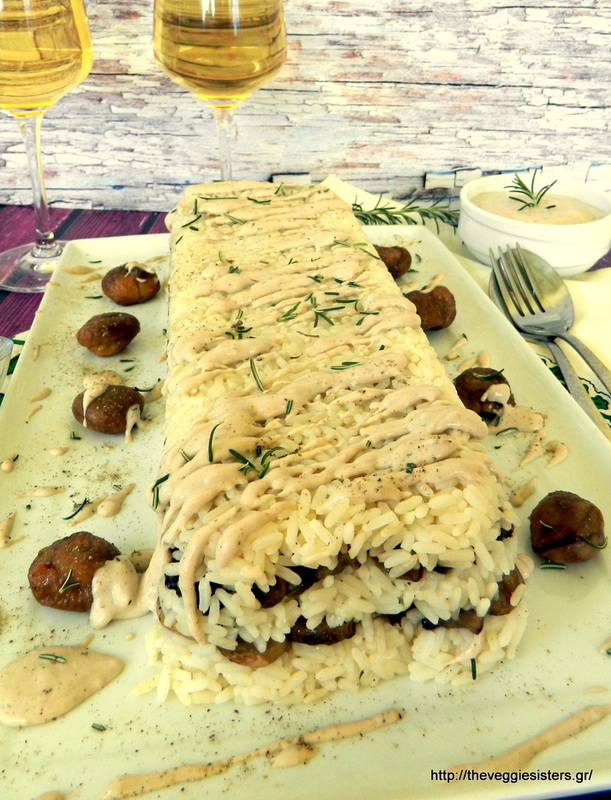 Rice with mushrooms, chestnut cream scented with rosemary. We hope you liked our ideas and that you found them inspiring! Have a lovely week, our dear friends! Cook rice according to package instructions. In the meantime saute mushrooms with garlic. Season with salt and pepper and rosemary. When liquid is evaporated, remove from heat. In a saucepan put soy cream, garlic, olive oil, garlic, rosemary and chestnuts. Season with salt and pepper. Puree with a pimer and allow to cook for a few minutes. Line a pan with parchment paper. Spread a rice layer, then a mushroom layer. Repeat once more. Allow to sit. When cool, put it on a platter. Garnish with chestnut cream, freshly ground pepper and finely chopped rosemary. Serve cream in a bowl. Enjoy! 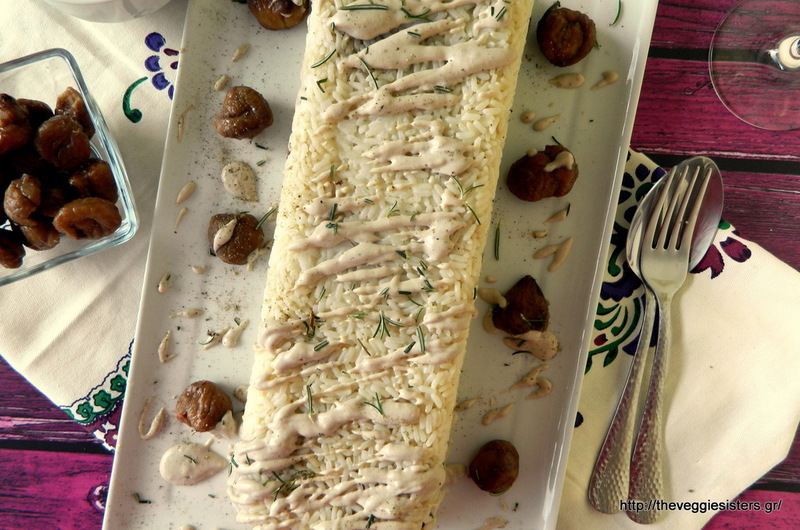 Share the post "Mushroom rice with chestnut cream"
Next PostΜπισκότα με αβοκάντο, βρώμη κ σοκολάτα!